Pablo Picasso was well aware of photography’s power to communicate. From his early years interested in the medium, he seems above all to have understood the importance of creating a public image, and the ability to sustain a cult of personality. 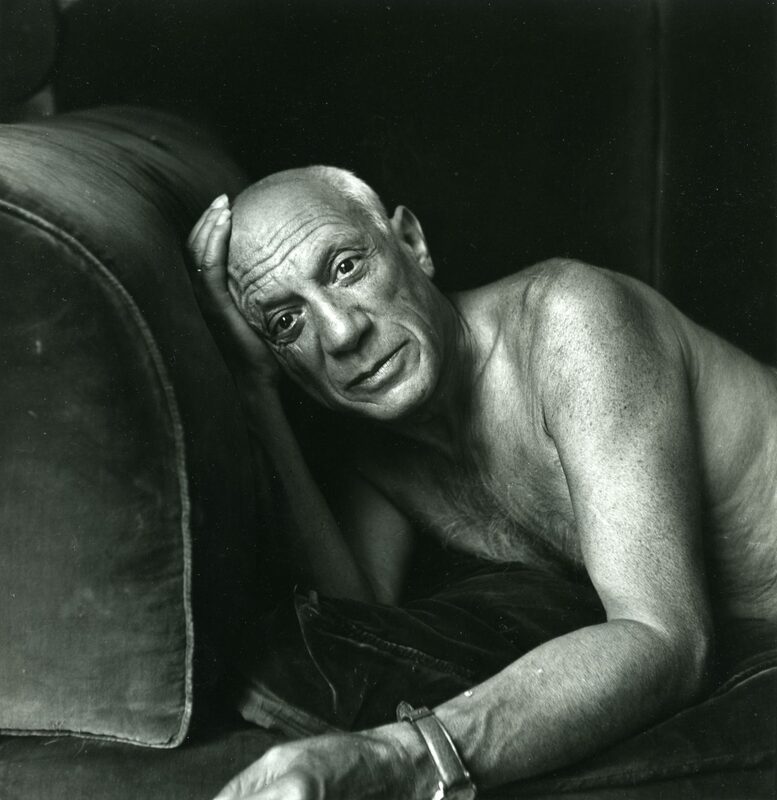 In Cologne, the Ludwig Museum presents an exposition that examines Picasso’s incredible relationship with photography. The exhibition includes portraits, posed studio shots and scenes from his private life – some of which have now attained the status of universal icons – by such photographers as Brassaï, Richard Avedon, Robert Doisneau, Henri Cartier-Bresson, Lee Miller, Man Ray, Dora Maar or Cecil Beaton. Jacques Henri Lartigue also contributed to the Picasso photo-mania. 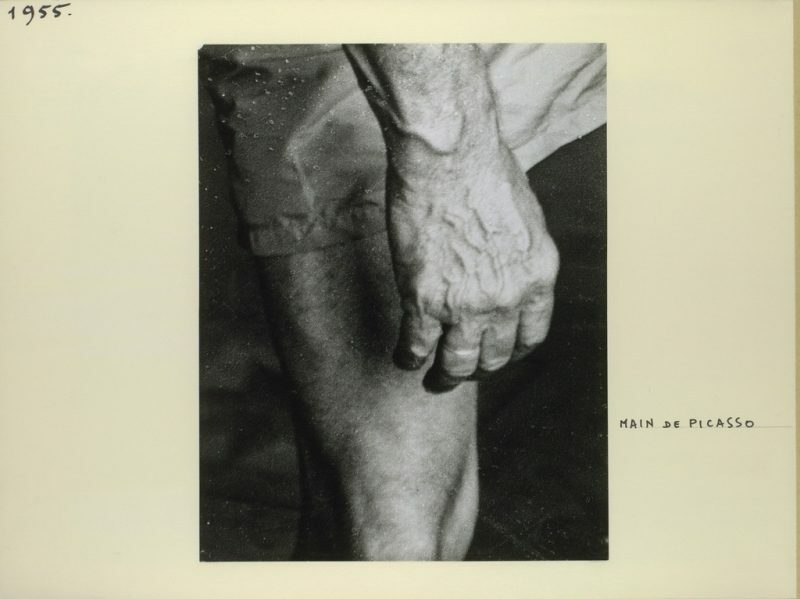 In 1955, in Antibes, Lartigue met Picasso thanks to his friends Jeanne and Albert Creff, doctors. Lartigue went to La Californie, Picasso’s villa in Cannes, where Jeanne Creff had an appointment with the artist. In a single day, Lartigue photographed Picasso more than one hundred times, in black and white and in colour. As was his custom, Picasso was accommodating and open, even in his most private moments, including an acupuncture session with Jeanne Creff. In an album dedicated to the year 1955, this day with Picasso occupies more than half the album. 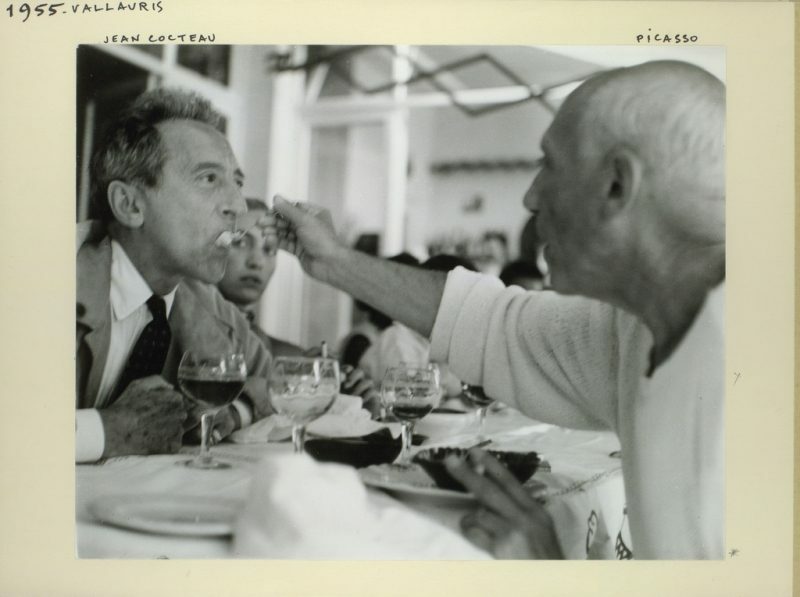 After the acupuncture session, one can see Picasso posing with his paintbrushes, with Jeanne Creff, with Jean Cocteau in Vallauris at the corrida… Lartigue himself is even seen at times, having entrusted his camera to his wife, Florette. All these images are presented in the album, without hierarchy, the posed photos alongside casual snapshots, all linked by the master’s incredibly photogenic nature. The exhibition then travels to the Picasso Museum in Malaga, Spain, through June 10, 2012. A catalogue is published by Hatje Cantz.